17 Day Diet Cycle 1, Cycle 2 & Cycle 3 - Food List • Healthy.Happy.Smart. 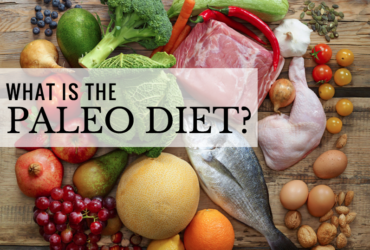 This foods list will guide you through 17 Day Diet cycle 1, cycle 2 and cycle 3. is a popular diet in which you follow through 3 cycles of 17 Days eating specific foods. The foods list isn’t easy to remember by heart so we created this 17 day diet food list for all cycles of the diet (cycle 1, cycle 2 and cycle 3). This guide is based on the 17 day diet book by Dr. Mike Moreno. Note: There are affiliate links in this post. See full disclosure. 17 Day Diet has been proven to help people lose weight. It’s a great diet where you shouldn’t feel deprived, you’ll lose your sugar cravings and you’ll see results quickly yet in a healthy way. 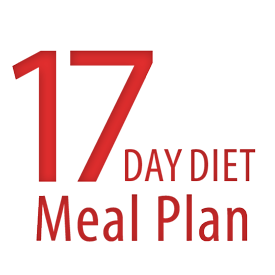 To learn more about 17 Day Diet, check out this post: 17 Day Diet Explained. 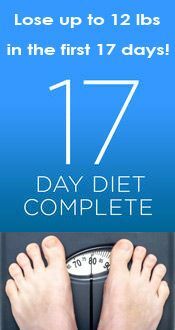 You could also get our 17 Day Diet Complete app (click one of the links above) which has a 17 day diet guide, food tracking, weight loss tracking, water tracking and exercise tracking. The best thing about it is it has a Diet Chat feature in the app where you can ask me anything you’d like about the diet and I’ll help. Below I share with you a extensive list of allowed foods on 17 day diet based on the different cycles you’ll follow. Hope it’s helpful. Common questions I get are: “is this allowed?”, and “when is this allowed?”. So, here’s a 17 Day Diet Food List a quick reference food guide that I thought might help a bit. I’ve added some notes below the guide with lists of all food items that are allowed to expand it even more, for your convenience! NOTE: SEE PRINTABLE PDF’s BELOW! Yogurt (Greek style, sugar-free fruit flavored, plain or low-fat) (6 oz = 1 serving) Make your own Yogurt! Kefir (1 cup=1 serving) MAKE YOUR OWN Water Kefir or Milk Kefir!! All probiotics listed above, plus the ones below. 17 day diet recipes, 17 day diet food and water tracking, 17 day diet exercise tracking, 17 day diet meal plans, 17 day diet weight loss progress graph – all in this handy app! If you find this 17 day diet food list helpful, you might also be interested in our 17 Day Diet Complete app which allows you to track everything you eat (plus it includes tons of recipes to try out), track your weight loss, track your exercise and track your water. PLUS we have an in-app expert who will answer any of your questions you have about the diet or the app quickly! It has a similar 17 day diet food list as well with it’s own mobile food guide right in the app. We also have a Meal Plan app (iPhone, Andriod phones, and Kindle). It does all the menu planning for you (breakfast, lunch, dinner and a snack), so you don’t have to add up all of the required servings. Leave the complicated calculations to us! Try it out for FREE! 17 day diet recipes + meal plans + shopping list all in one in this app. What is the portion of red grapes on 17 day diet. And in cycle one why no zucchini because it is in cycle 1 recipes??????? You are probably seeing Zucchini in cycle 1 recipes in the 17 Day Diet book right? Oddly if you look at allowed foods lists in the same book it mentions Zucchini as allowed not until in cycle 3. Not sure why they include recipes with zucchini in them. It was a mess up on their part. (We are not connected with the book at all.) We suggest following the foods lists rules over the recipes – so wait until cycle 3. Is a serving of pears, peaches prunes, and berries a half cup? Is a serving 1/2 of a grapefruit? Is a serving of an apple, orange, small piece of fruit? What are the cycles you are mentioning? The cycle 1, 2 & 3? Hi there, Check out this post to learn about the different cycles – and the 17 day diet, in general. Hi Patricia, A minimum of 17 minutes of exercise is recommended on cycle 1 (yes, like the name of the diet). But the more you do, the better you’ll do. Any exercise is good: walking, biking, swimming, yoga, strength training, etc. And as you move up in the cycles you should do more as it gets harder to lose weight as you go up in cycles. You can up the intensity and the time. Also, doing cardio + strength training is good to do. You’ll build muscle which helps burn fat faster. Hi Andrea! Here are all the allowed vegetarian/vegan substitutes found online: : One-half cup of tofu (any type). One-half cup of beans, lentils or any legumes. 1 to 2 vegetarian/vegan or black bean burgers (made from textured vegetable protein). 2 vegetarian/vegan “sausage” links. You can also have protein powders if you’d like: 2 scoops vegan rice protein powder. Or, Any other type of vegetarian/vegan meat substitute made from textured vegetable protein (see package for serving size). For vegan dairy substitutes 1 serving is 1 cup unsweetened soy milk, unsweetened almond milk or unsweetened rice milk. For yogurt substitutes, it is fine to use soy milk yogurt or other vegan yogurt. For cheese: 2 to 4 ounces of any vegetarian cheese, including soy cheese is okay in moderation. Hi Andrea, yes, quinoa is a good source of protein. This list of foods are based off the 17 day diet book. If you have any questions, let me know. Can you eat peanut butter with any of the cycles? Any snacks should be within the allowed foods guidelines. See above for all allowed foods for whichever cycle you’re on. Oh and keep in mind that no starches or fruits after 2pm. If you want, you can tell me what kind of snack you were thinking and I can tell you if it’s okay or not – let me know! Thank you kelly. Me and my husband are on cycle 3. I was thinking about dark chocolate and he thought about gummy bears as a snack up to 100 calories. Would love to hear your opinion. HI! Dark chocolate is allowed in moderation and maybe “sugar free” gummy bears are best. Just my opinion, although there is not true guideline for “gummy bears” on this diet, so I am not positive. But cycle 3 is more lenient, so eating just a little might not hurt. Hi! I’ve read the book but am forgetting now, when are nuts (peanuts, almonds, pistachios, cashews, etc.) allowed back in the diet? Cycle 4? According to the book, nuts/seeds are allowed starting in cycle 3. They count as a fat, so be sure to count them when counting your servings. Hi! I’ve read over this diet many times before but never have tried it. The reasoning behind this is that I am a type 1 diabetic. Me and a few of my diabetic buddies are wanting to know if this diet is “safe” for us? This is what I found online when searching for an answer to your question: “Absolutely, it’s a diabetic’s best friend,” whether type 1 or type 2, diabetics will realize weight loss. Dr. Mike says that for type 2 diabetics, some followers have reduced or completely gotten off their medications because the diet helps them to better control their sugars. Just to build on your answer: my step-dad is a type 2 diabetic that is completely off his diabetes medications with this diet. He’s only strict with the diet for about 3 cycles twice a year (usually starting in January and July). For the rest of the year, he loosely follows the guidelines but allows himself to eat red meats and more cheeses since he loves those things. 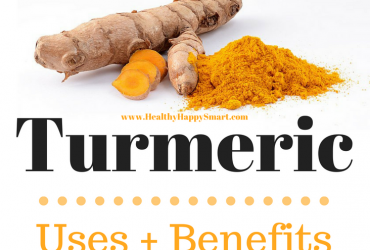 It has really helped him to keep his weight down and his blood sugar and cholesterol levels in check. Obviously, talk to your doctor first since there can be lots of other health factors to consider. Thanks for your input, Amelia. It’s very helpful to see someones true experience with being diabetic on this diet. When and how much chia seeds can be consumed?? The book for 17 day diet says to wait until cycle 3 for any nuts and seeds. 1 TBSP is one serving. I don’t see beets listed in any of the food lists and they are a favorite of mine. What cycle would they fit into and if so how much. Wait until cycle 3 to have beets. Hello. What about cheese please? I’m just about to start tomorrow and was wondering which cycle I’d be able to have cheese again. Only Fat-free cheese is okay in cycle 1 and 2 – in cycle 3 you’re allowed other cheese. I’ve done this before with great success.. going to start it up again on Monday. When can I have a glass of red wine again? I’m assuming cycle 3. Great site! Is coke zero ok? And if yes, what cycles? I wouldn’t recommend drinking any soda, to be honest. Soda/diet soda is sweet. The 17 day diet is trying to wean you off of sugary sweets and by still drinking something sweet (regardless that it’s “Sugar Free”) is still feeding your sugar cravings and not helping you with having those. So progress with getting you off sugar cravings might be harder if you still have “Sugar free” drinks/foods/snacks. Hope this makes sense. You are “allowed” sugar free diet soda in moderation, but it’s not recommended on a daily basis or very often because of what I mentioned above. Oh and remember that it does NOT count towards your required daily water intake. Let me know if you have more questions about anything. Just finishing first cycle, loved your resources. Thank you. Was wondering if you ever had any feedback from anyone doing this diet while on Tamoxifen. The drug is a known cause of weight gain because it affects hormonal balance. After being picture perfect on this plan, I haven’t lost anything., but at least I stopped gaining. I am keeping total calorie consumption between 1000-1100 daily even though it’s not a requirement, but I really wanted to lose. Any ideas? Hi Constance, thanks for reaching out! I haven’t heard anything about anyone doing the diet while on Tamoxifen. Sorry. If you’re on facebook, there are a couple groups on there for this diet. Maybe asking the question there would give a response from someone. As for your calorie consumption, generally its recommended to never go below 1200 calories in a day. This is because it’s pretty low and your body might start to feel deprived and then start to store fat over time. But of course this depends on each person and their gender, weight, height, activity levels, etc. I suggest upping it to at least 1200, but use a calorie calculator online to see how much you should eat daily for weight loss. Although the 17DD book says to basically not stress about calories, just eat when you’re hungry and don’t eat when you’re not hungry. Also, veggies and proteins are unlimited. Do what is best for you in your situation. We’ve read on many sites and forums that venison is considered a lean protein, so it’s okay to have. But if you’re a die-hard book follower, skip it until cycle 3. After Cycle 4, the diet says you are allowed to have 3 favorites on weekends. Does that mean a single favorite THING or favorite MEAL? Hi, is there a specific time to eat dinner? I come home late around 9. Or should i just skip dinner? What time do you go to bed? Generally, you should stop eating a couple hours before you go to sleep. So if you stay up for a few hours, I think eating when you get home is fine. No starchy foods or fruits at this time though – in case you didn’t know. Kombucha is a good probiotic source. Keep in mind it’s made with sugar, and this diet is low sugar. So have it in moderation, and opt for one with the lowest carbs/sugars in the nutrition facts. What about beets? Are they cycle 1 complaint? If not which cycle? Hi Richard, Beets are a cycle 3 food. What are the ingredients? Just fruit? You’d have to count them towards your fruit intake for the day. I love gum. Can we chew sugar free gum? Yes, as long as it’s sugar free, it’s okay to have. Can low fat coconut milk be used in coffee? Yes – as long as it’s unsweetened it is fine to use a splash in your coffee! I did this diet a couple years ago and got to skip cycle 2 and 3 because I achieved my weight goal. I was going to do this again. If I add a couple drops of lemon essential oil would that make my water negative? Or is it ok? Technically it probably would… from what I have heard/read is any water enhancer makes it negative water. Seems kind of strange being it’s such a tiny amount, but it’s up to you. I wish you luck this time around on the diet!! Started this on Monday. Started with a “shake” day and have been mainly eating chicken salad and salmon salad because I like them. What is the portion size for meat? It says “as much as” but I think that will be too much. Any advice? I have lost 6 pounds already, by the way. I’d say about 3-5 oz per serving is a good amount. Eat until your full, never overeat or stuff yourself. That is the rule of thumb for this diet. So you really don’t have to count calories with proteins and veggies, but eat what you can, but don’t overeat or undereat. I am new with this diet want to try it.. Can you tell me how many days in a cycle? The diet consists of 3 cycles that are 17 days each (hence the name 17 day diet). You basically go through the cycles (1, 2, 3) until you reach your goal weight. If you reach it before going through all cycles, then great! But if you still need to lose more after cycle 3, you can choose to follow cycle 1, 2 or 3 again. If you have more questions, let me know. This diet does not mention anything about watermelon.. does that mean it’s not allowed? Could i have a slice instead of 2 fruits a day before 2pm? It’s one of my favorites and I’m just starting cycle 2. Hey! Watermelon is a cycle 3 fruit. It’s high carb/high sugar. What is a good macro calculator or calorie calculator? Dill pickles are okay – in moderation, they are high in sodium, so eat them in small quantities and not very often. Sweet pickles are not allowed. 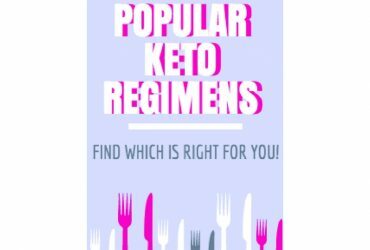 Can a High Protein, 1 gram of sugar, Slim Fast be used as a meal replacement on the 17 Day Diet? I wouldn’t, or I wouldn’t very often. This diet is trying to move you towards a more natural way of eating – and eating whole foods. Slim fast is not natural. But this is your choice. Can I use powdered peanut butter to flavor my Greek yogurt in cycle 1? I think a little would be fine, but watch out for added sugars if there are any. Also, there are some fats in powdered peanut butter and you’re supposed to watch your fats intake, so try counting some of this towards your daily fat intake. It’s hard for me to know how much is okay, so use your best judgement. Obviously there is less fat than regular peanut butter, but still, it’s some.